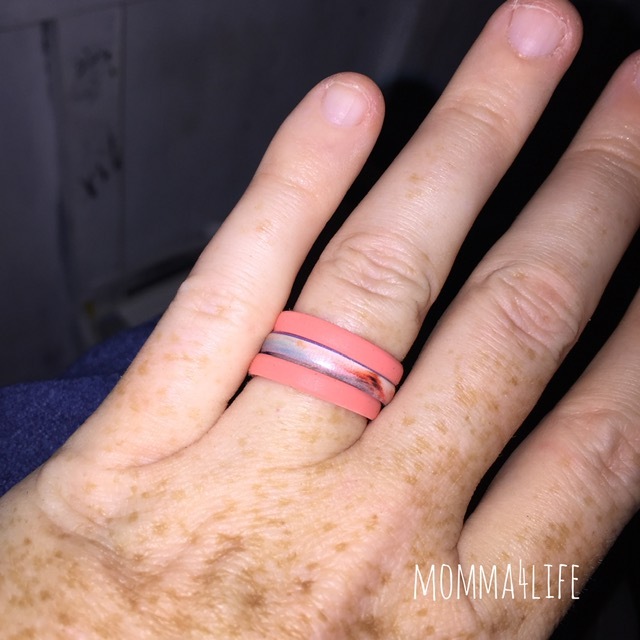 I am loving these Groove Air stackable women's rings so the concept these rings are you wear them in place of your normal wedding ring and bands. I've always loved the idea of this and think it's amazing that there is such a concept of doing this. Whoever invented the silicone band is genius and I am not sure why anybody didn't think of it sooner. I received the stackable in air sunset which retails for $29.95 and comes in a variety of sizes 4 all the way to 10 I choose a size 7 and I am loving this set. 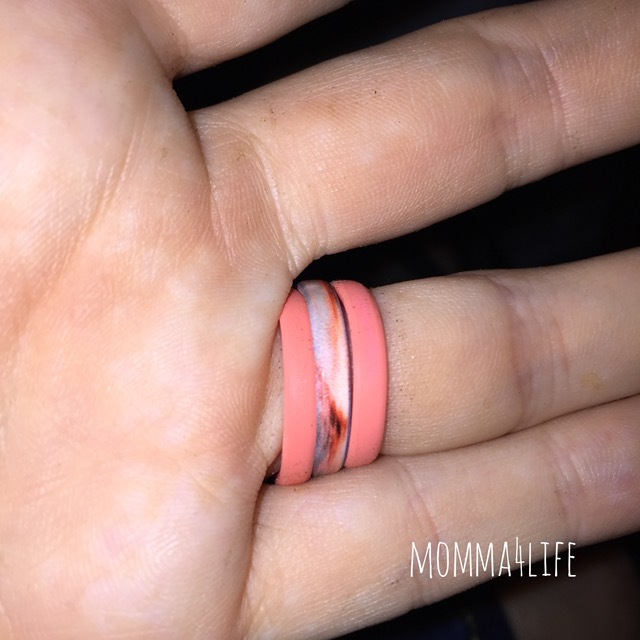 These are perfect to wear when you don't want to mess up your original bands and this color great for summer is amazing and these silicon rings are very lightweight. They also match perfectly together and are very stylish. They are going to go great with spring and summer around the corner. There is also a warranty on these rings if you lose it, break it, or stretch it no questions asked it will be returned. If you manage to get the wrong size you can just let them know and they will send you another one.